Nvidia has added two new members to the MX product family: The GeForce MX230 and the GeForce MX250. Both GPUs are based on Pascal architecture, offer DirectX 12 support, and they both utilize Nvidia’s Optimus graphics-switching technology. The MX230 and MX250 also support Vulkan 1.1, OpenGL 4.6, and OpenCL 1.2 APIs. 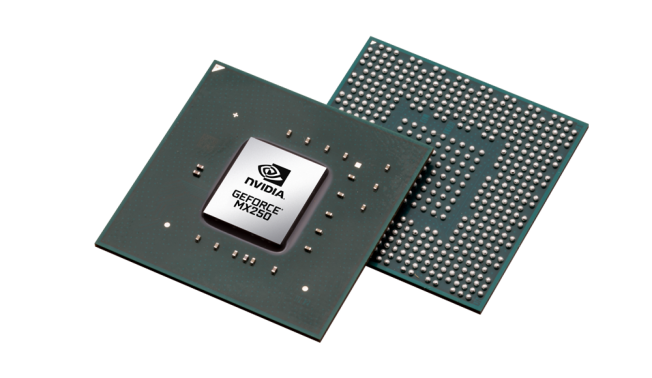 Update 25 February: We now have the full specifications for the MX230 and MX250 in our GPU database. We want to point out that the MX150's 4x recorded score was compared with the older iGPU of a Kaby Lake Core i5-7200U. The MX250's memory interface can support speeds of 3.5 GHz compared to the MX150's 3 GHz, so the MX250 offers more performance than the MX150 and the same can be said for the MX230 in comparison to the MX130. 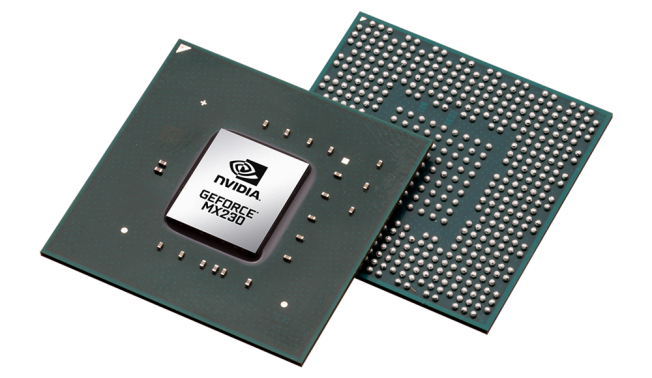 The official website for Nvidia GeForce now has two new additions for the MX-series of notebook GPUs. The GeForce MX230 and GeForce MX250 have just been announced by the green team and should be available soon (April has been mentioned for the latter GPU). It is believed the MX250 could be a renamed MX150, which would explain some of Nvidia’s performance scores. Nvidia has tested the new laptop GPUs against the gaming performance of the UHD 620 that is integrated with a Core i5-8265U Whiskey Lake CPU. The MX230 has a GeForce Performance Score of up to 2.6x the iGPU from Intel, whereas the MX250 has a listed score of up to 3.5x the UHD 620. However, the older MX150 has a recorded score of up to 4x, so even though it would be fair to presume the MX250 should offer slightly higher clock rates, in some cases it might actually even be slower than the MX150. Of course, it’s important to remember that laptop GPU performance of the same product can vary by OEM. For the full specifications that are currently available, you can check our dedicated pages for the Nvidia GeForce MX230 and Nvidia GeForce MX250. Like the MX150, the MX250 is expected to come in two variants: One with a 25 W TDP and one with a lower-performance 10 W TDP.